Are you seeking for UKSSSC Recruitment 2018? If Yes there is a good news for you. Uttrakhand Subordinate Service Selection Commission has announced 1218 Vacancies to fill up the Post of Forest Guard. 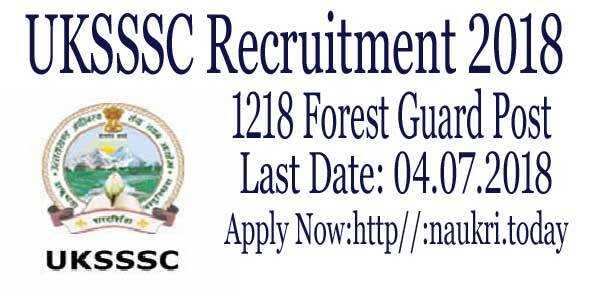 Applicants who are interested in 1218 Forest Guard Post may check here eligibility criteria, age limit, and selection process. Uttrakhand SSSC has issued Direct Recruitment notification for Forest Guard Post. Candidates can fill up their application forms from 21 May 2018. Aspirants will be registered online for UKSSSC Forest Guard Vacancy 2018 till 04 July 2018. Uttrakhand Subordinate Service Selection Commission has issued direct recruitment notification for forest Guard Post. Candidates should be selected on the basis of written test and physical test. Participants must improve their physical strength of UKSSSC Forest Guard Jobs. Here we provided you brief details about UKSSSC Recruitment 2018 given below. Interested candidates must apply online with the help of links given below. Latest Updates as on 01.06.2018: UKSSSC Recruitment 2018 Online registration has already started. Applicants can fill up their application form from links given below. Candidates should check furthermore details here about UKSSSC Vacancy 2018. Aspirants must apply now without waiting for the last date. How I Check Application Fees, Pay Scale & Selection Criteria For UKSSSC Vacancies ? How To Apply Online Form For UKSSSC Recruitment 2017 – 18 ? Participants who are interested in applying for UKSSSC Recruitment 2018 should check below section. Here we address you about eligibility criteria, age limit and pay band for Uttrakhand SSSC Forest Guard Vacancy 2018. Participants should enter the personal details correctly otherwise their forms will be rejected. Aspirants should download UKSSC Notification 2018 from links given below. Candidates who are going to apply for Uttrakhand SSSC forest Guard Jobs 2018 must have Intermediate or its equivalent Degree. Preference is given to those applicants who have 2 years of service experience in Territorial Army and also have NCC Certificate. Participants may also judge on the basis of Physical Efficiency Test. Here we gave you table which shows Physical Efficiency Test requirement for UKSSSC Recruitment 2018. The minimum age for applying aspirants is 18 years and maximum age is 28 years for UKSSSC Recruitment 2018. For furthermore details candidates should consult to official notification of UKSSSC Forest guard Jobs 2018. Applicants can download UKSSSC Notification 2018 either from here or from the official website. Uttrakhand SSSC pays Rs. 21700 – Rs. 69100 to the selected candidates for Forest Guard Post. Participants must prepare hard to grab good amount of salary. For more details, applicants should read Uttrakhand SSSC notification 2018. Here we provided you links to download UKSSSC Forest Guard Vacancy 2018 notification. Participants should be selected on the basis of Written and Physical Test. Candidates who applied for UKSSSC Bharti 2018 must start preparing for a written exam. Applicants who cleared written test will call for Physical Test. Participants who cleared both the levels should call for Document Verification. Aspirants must prepare according to exam pattern given in notification of Uttrakhand SSSC Bharti 2018. For more information aspirants can consult to official notification of UKSSSC Forest Guard Recruitment 2018. Male: 25 km running with 10 kg weight on the back/ spine. Applicants need to pay some amount as an application fee for Uttrakhand SSSC Forest Guard Vacancy 2018. Candidates can pay their application fee through Credit Card, Debit Card, and Internet Banking for UKSSSC Recruitment 2018. Here we provided you category wise application fee table given below. Participants must apply online for Forest Guard Post. here we have given you links to download Uttrakhand SSSC Notification 2018. Applicants must read this article carefully before applying for UKSSSC Vacancy 2018.
then applicants must search for Uttrakhand SSSC Recruitment 2018 Notification Pdf links. Then click on it for UKSSSC Group C Recruitment 2018. Applicable applicants should click on an apply online link for UKSSSC Forest Guard Jobs. Aspirants must fill up Online Application Forms. Applicants should attach copies of respective certificates along with Form. Enter Personal information, Postal address, recent Photo and Sign etc. Then recheck Online Application form before submission. Aspirants must take a printout of online application form for their future use. Conclusion: Uttrakhand SSSC has issued Notification for 1218 Forest Guard Post. Participants who are interested in Forest Guard Post must apply online from 21 May 2018. 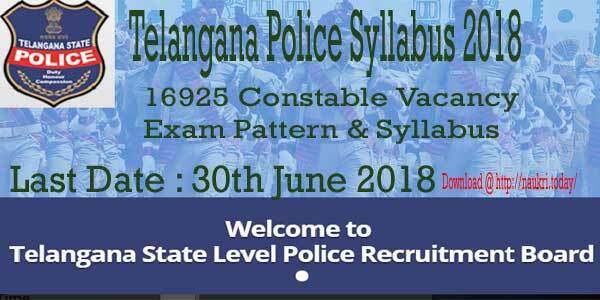 Candidates must fill up their application form before last date 04 July 2018. Applicants should check here more details related to UKSSSC Recruitment 2018. Are you searching UKSSSC Recruitment 2018 ? If yes, then here is good news for you. Uttarakhand Subordinate Service Selection Board has issued notification for filling up 50 Group C Vacancies. Applicants may apply for UKSSSC Group C Jobs through online mode. The Uttarakhand SSSC Online form is available from 24.03.2018. Applicants who are interested and eligible also may fill their Uttarakhand Group C Jobs online form before the last date 10.05.2018. Furthermore information is given on below section. Uttarakhad Subordinate Service Selection Board is inviting online application for 50 DEO, Private Secretary, Review officer, Supervisor & other Group C vacancies. UKSSSC Vacancy online form already available on official site. Applicants can fill the online application form for UKSSSC Group C Recruitment from here. More details of Uttarakhand SSC Jobs is mention on below article. Read full details carefully. Interested applicants must ensure that they are eligible or not for UKSSSC Group C Recruitment 2018. If applicants are not eligible they can’t apply for Uttarakhand SSSC Group C Recruitment. Candidates who are going to apply for UKSSSC Recruitment, must be belonging to Uttarakhand State. Other eligibility details are mention on below section. For UKSSSC Vacancy applicants should be Graduate from recognized university. Applicants also have good typing speed. Furthermore information regarding UKSSSC Group C Jobs check official notification. Applicants selection will be made on the basis of written examination. In the test there will be 100 objective multiple choice questions. The duration of UKSSSC Group C Exam will be 02 hours. There will be also negative marking for every wrong answers. 1/4 will be deducted for penalty of wrong answer. Furthermore details of UKSSSC Jobs Examination is mention on below notification. Candidates who are belonging to General & OBC category require to pay Rs. 300/- towards application fees. While SC/ST/PWD candidates have to pay Rs. 150/-. UKSSSC Vacancy fees should be submit through online or offline mode. Furthermore information check UKSSSC Notification carefully, which is also mention below. Desired and deserving candidates can fill UKSSSC Group C Recruitment application form. The Uttarakhand SSSC Application form is available on online mode. Before going to fill UKSSSC Online Form all applicants must have scanned copy of documents, valid email id & mobile no. Easy steps is mention below to apply online for Uttarakhand SSSC Recruitment. First of all applicants go to official site sssc.uk.gov.in. Find UKSSSC Group C Recruitment Notification on there. Read the advertisement carefully and then search Apply online link. If you have difficulties to find the link, you can direct apply for UKSSSC Recruitment from below link. Click on it and then enter all require information like personal, educational etc. Submit your UKSSC Group C Jobs application form carefully. And challan should submit any BOB branch. Conclusion : Uttarakhand Subordinate Service Selection Board has publish employment advertisement for 50 Group C Vacancies. UKSSSC Recruitment 2018 For Group C Jobs online application form already available here or official site. Application can fill UKSSSC Group C Vacancy form here till last date 10.05.2018. Are you waiting for Group C Vacancy Notification in Uttarakhand State ?? If yes, then here is a good news for you. Uttarakhand SSSC department has now issued Notification of 198 Group C Vacancies. Candidates who are interested in UKSSSC Recruitment 2017 – 18 can fill online form here before the last date. Closing date of applying UKSSSC Group C Jobs Online form on or before the last dated 30.12.2017. To get more information about Uttarakhand Group C Vacancy Division, Eligibility Criteria & Other Details from here. Uttarakhand Subordinate Service Selection Commission has released recruitment notification of 198 Group C Jobs. Submission of online form for UKSSSC Jobs has been started from 15.11.2017. This is great job opportunity for the candidates Uttarakhand state who are searching Group C Jobs. Candidates are advise to check Full eligibility Criteria Before submit UKSSSC Vacancy Online form which is mention in below article. Fresh Update as on 22.12.2017 : Dear Applicants, UKSSSC has cancelled the Written Exam for Assistant Teacher, which was going to held on 17.12.2017. New date of exam will release after 01 month Applicants, keep stay with this page for more details & Fill UKSSSC Vacancy Online form which is mention below. Candidates you can check post wise required eligibility Criteria for UKSSSC Group c Jobs from here. Our team is providing Post wise Education & age Criteria For UKSSSC vacancy in the below section. Candidates must have done B.Sc. in respective trade from any recognized university for Uttarakhand SSSC Jobs. Candidates can get more information about UKSSSC Group C Vacancy from official notification. Age of the candidates for UKSSSC Recruitment 2017 – 18 must be in between 21 years to 42 years as on 01.07.2017. Relaxation in is applicable only for reserve category candidates as per Department norms for Uttarakhand SSSC Vacancies. General/ OBC Category candidates must paid Rs. 300/- as application fee for UKSSSC Jobs 2017. Appliers for SC/ST Category needs to pay Rs. 150/- for applying Group c Online form for SSSC Uttarakhand Vacancies. For Post No. 01, 02 : Applicant will paid Rs. 29,200/- to 92,300/- peer month for SSSC Uttarakhand Jobs. For Post No. 03 : Rs. 25,500/- to 81,100/- will paid for UKSSSC Vacancies. Selection of the candidates for UKSSSC Recruitment 2017 – 18 will made on the basis of Written Examination. Final Merit list will prepare on the basis of marks obtain in examination. Pattern of Examination for UKSSSC Group C Vacancies is mention below. Exam will be objective in nature of total 100 Marks. Written exam will be offline exam. Question paper will contain question of B.Sc. respective subjects. There will be negative marking in examination. For each wrong answer 1/4 marks will deducted. Candidates can check Full Exam Syllabus for better Exam Preparation from here. 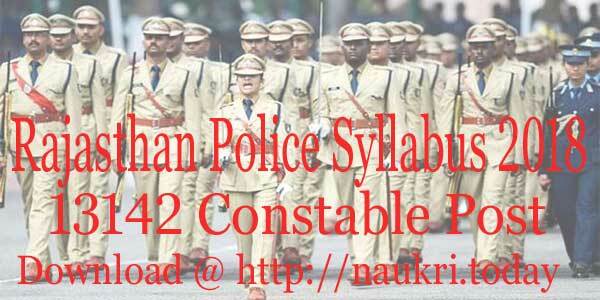 Check UKSSC Group C Syllabus & Download it. For more information candidates keep in touch with this page. First of all candidates log on to the official website www.uksssc.in. Now click on Advertisement Section & Click on UKSSSC Group C Vacancy Notification. Recheck all details before submit SSSC Uttarakhand Jobs Online form. Conclusion : – UKSSSC Recruitment 2017 – 18 for 198 Group c Jobs. Candidates can fill online form for SSSC Uttarakhand Jobs on or before the last date 30.12.12017. To get more information read the above article.